If you read my previous blog post you’ll know that it was my university reunion at the weekend. Twenty years since we graduated in the summer of 1996. 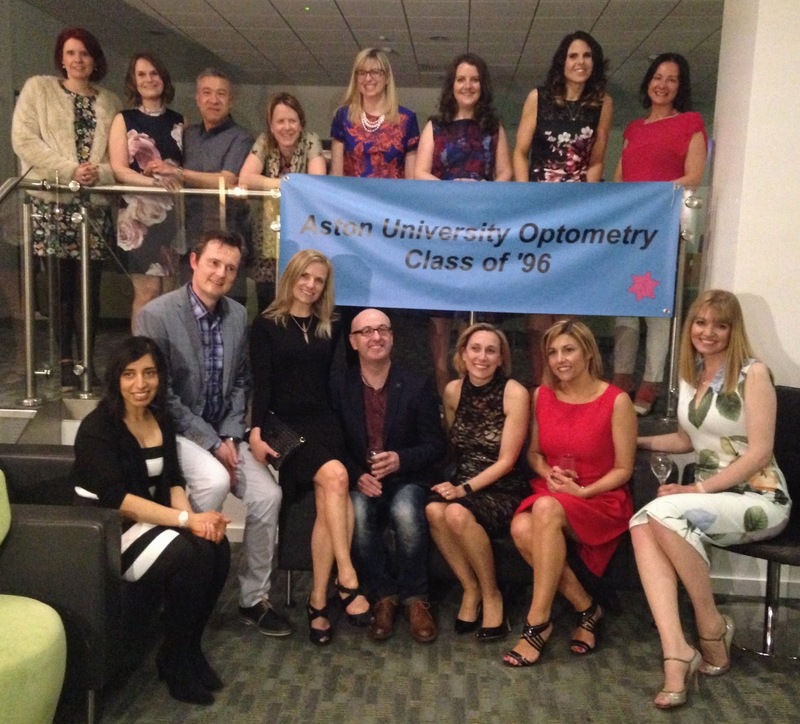 I studied optomtery at Aston University, Birmingham and the reunion was held back on campus. It has changed enormously (as has the centre of Birmingham for that matter, although I have been to the city centre several times since I left uni), and was, in parts, barely recognisable. The same could not be said for my classmates though. Some I am in regular contact with and others I haven’t seen since graduation day, but not one of us has changed significantly. It was such a brilliant evening and the two decades just slipped away and we, or at least some of us, stayed up until 4am chatting and enjoying a *glass or two* of wine. Other than the group shot below, I didn’t take any photographs of my outfit, so I have recreated the look at home. I used my Alexa grab bag. The clay colour, as you can see is a slightly pinkish neutral and it complimented my dress and the two outfits I wore to travel in. The chain detail on the detachable cross-body strap adds a little something and makes it suitable and practical for both daytime and evening use. For me, the acid test of a handbags’s suitability for everyday use is whether or not it fits my iPad mini and I’m happy to say that it does, albeit snugly. It’s beautifully made and it’s already becoming a great favourite. I was introduced to Ilex when I won a mustard yellow hobo bag in an Instagram giveaway hosted by my blogging friend Gemma author of the blog Jacquard Flower. It’s a gorgeous British brand and I would love to add to my collection of two. And my shoes? Well, it had to be the Choos. Almost seven years old and still as sparkly and as exciting as the day I got them. So here we are. The fifteen that came. We missed a lot of our friends, some of whom now live abroad, but it was very nice being able to chat to each and every one. I’m still on a complete high and I sincerely hope it won’t be another twenty years. It’s perhaps worth pointing out that there was a fairly equal 50-50 split of boys and girls on the course which perhaps goes to show that women are better at keeping in touch? 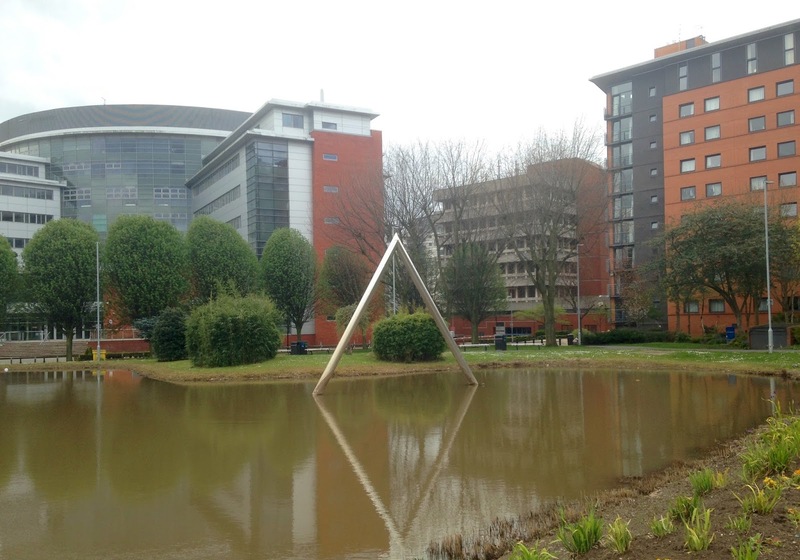 After breakfast yesterday, we had a final stroll around campus and I couldn’t resist taking a photograph of the iconic, (well at Aston it is), triangle fountain, said to be at the very central point of England. Shoes: Tahiti in champagne glitter, Jimmy Choo, past season. Pink watch, Next, past season. Disclosure: My bag was a gift from Ilex London. All opinions are 100% honest and all content is my own. I was not obliged to blog about these items nor did I receive any payment for writing this post. Thank you very much for supporting the brands that support What Lizzy Loves. Aww Liz, congratulations on your university anniversary, first of all. I love, love this sheath, the pastel colors, pattern and midi length and bodycon shape are gorgeous in your curves. And I love those stunning silver snakeskin shoes. Just gorgeous. I bet you were the best dressed there, Liz. Welcome by on Thursdays and linkup your fab style with me, pretty lady. The new linkup is currently up below. Welcome over! in love with your great dress. it looks like summer and holidays. Pretty look ! And you always find original shoes !! Lizzy, I mentioned this on IG, THIS is THE dress, I have been looking for by Ted Baker, I adore the soft colors of the print and the fit is fab. Love your haircut as well. Beautiufl! When I saw this on Twitter, I knew I had to check it out. Very lovely dress! Oh that Ilex bag is just stunning! I've never heard of the brand but will have to check it out. Dying over these Choos and that Ted Baker dress!